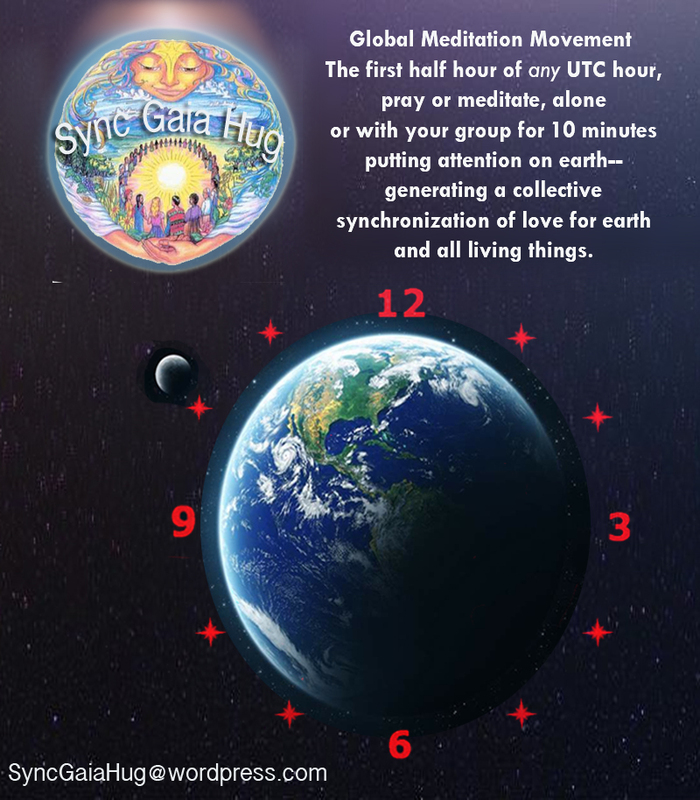 Hourly Universal Global Sync [H.U.G.S.] is a tool freely given to us to synchronize our daily practice as individuals or global movements and bring about a world of smile for all. There is no cost and nothing to join, enroll or sign up for. The Daily Sync blog is freely available to all. We, the people of Earth, synchronize our mindful focus by applying the UTC [Universal Time Coordinated] as the framework of time. Choose any practice and do it daily, in the first half of any UTC hour [In India and other countries with a time lag from UTC, please check your times here]. This is the key to bringing about Unity in Diversity. “Prayer collectively done…will generate the positive healing energy for all of us.”~ Swami Shraddhananda ‘Eli’, Founder of One Light Many Windows and Gaia Minute*. Launched on the Full Moon with penumbral eclipse of Oct. 18 2013 23:38-:45 UTC variously celebrated world-wide as Kojagari Purnima, Sharad Purnima, Harvest Moon, Vap Poya. The last hour of Oct 18th 2013 and first hour of Oct. 19th 2013 was the Full moon with eclipse. The “Everlasting marathon of meditations and silent prayers,” began from 00:00 on October 19th. In the first half hour every hour in the week from Saturday, October 19th to Thursday, Oct. 24th – the Global Oneness Day 2013 – people world-wide were in meditation or prayer, aware of synchronous resonance to all simultaneously meditating people round the globe. Let us continue this practice every day. It expresses the ubuntu credo. This site was launched on the Full Moon Penumbral Eclipse of October 18th/19th 2013. *In the spirit of One Light Many Windows: all paths lead to Oneness.